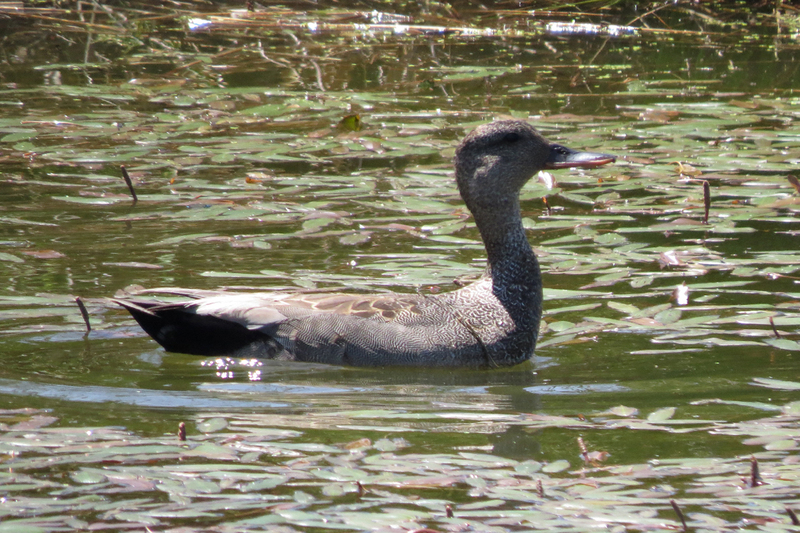 I made a quick visit to Tualatin River NWR in the afternoon heat. 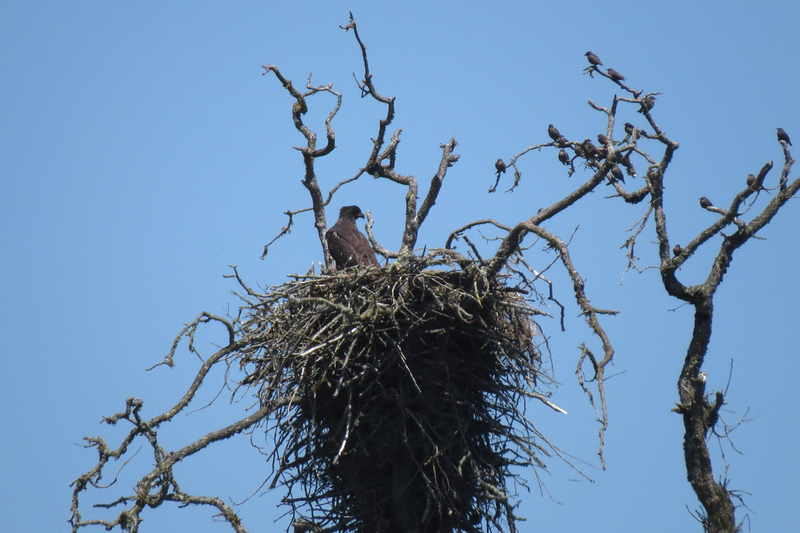 One of the main trails is closed off until this young Bald Eagle decides to leave the nest. Despite the flock of European Starlings cheering him on, he didn’t show any sign of leaving. 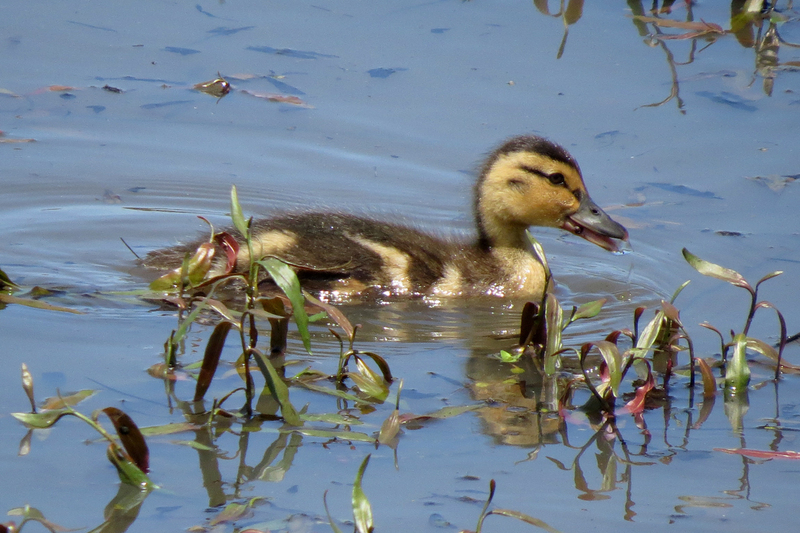 I saw several pairs of Gadwall, but no ducklings yet. 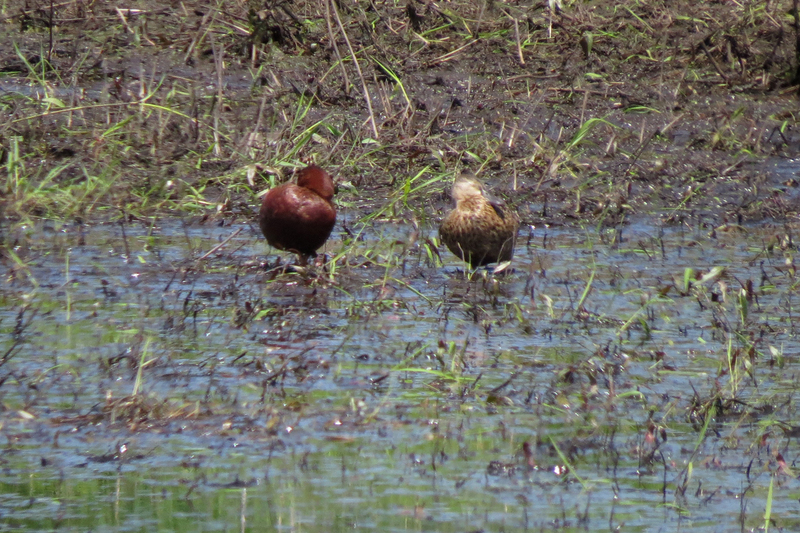 This male was putting on a show for his lady friend. 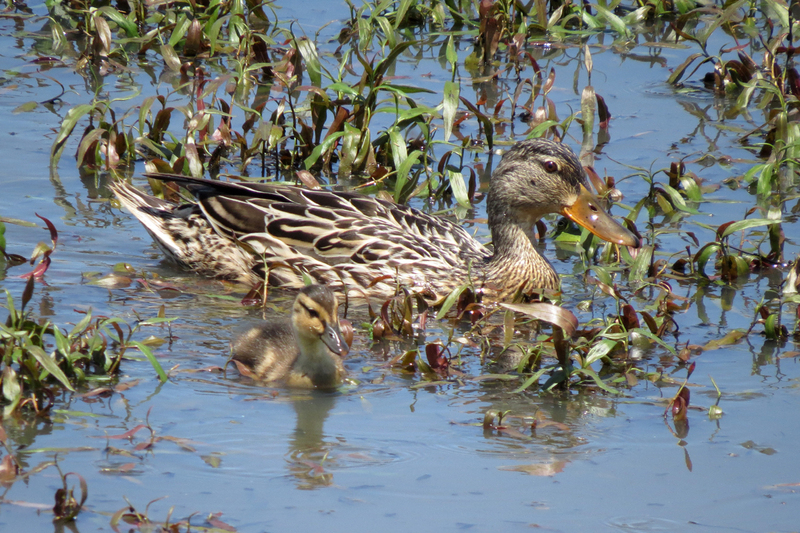 Mallards have been out with broods for weeks now. 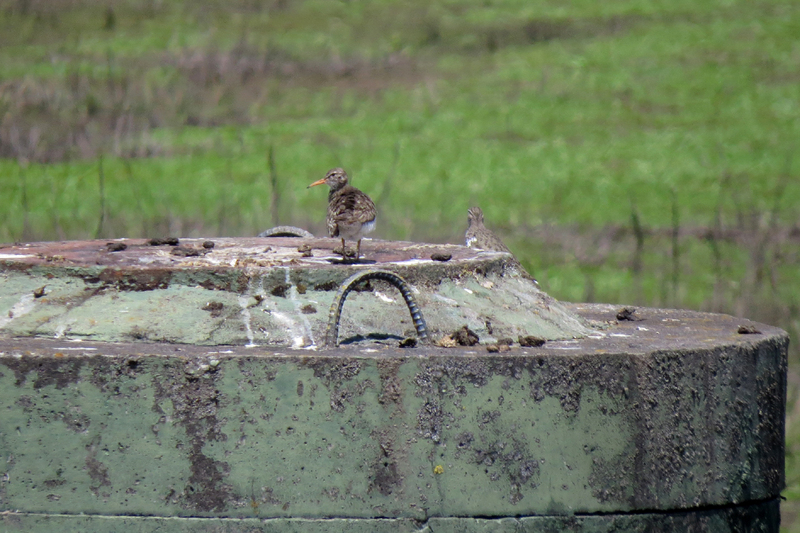 I often find Spotted Sandpipers perched on man-made structures. 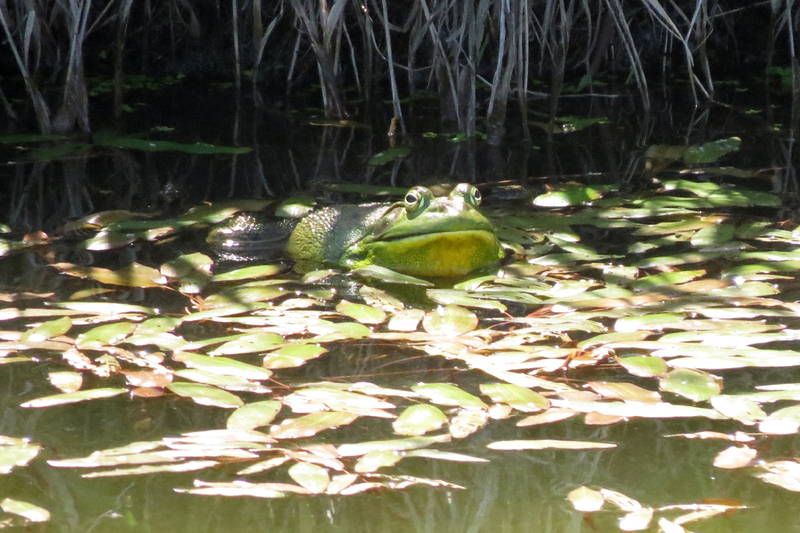 Despite the time of day, American Bullfrogs were actively singing and defending territories. This introduced species is so common in the Willamette Valley. I would think they would be a favored prey item (Great Blue Heron, Mink, River Otter, etc.) but I seldom find any evidence of predation. Bullfrogs are unfortunately very good at preying on native frogs and turtles. 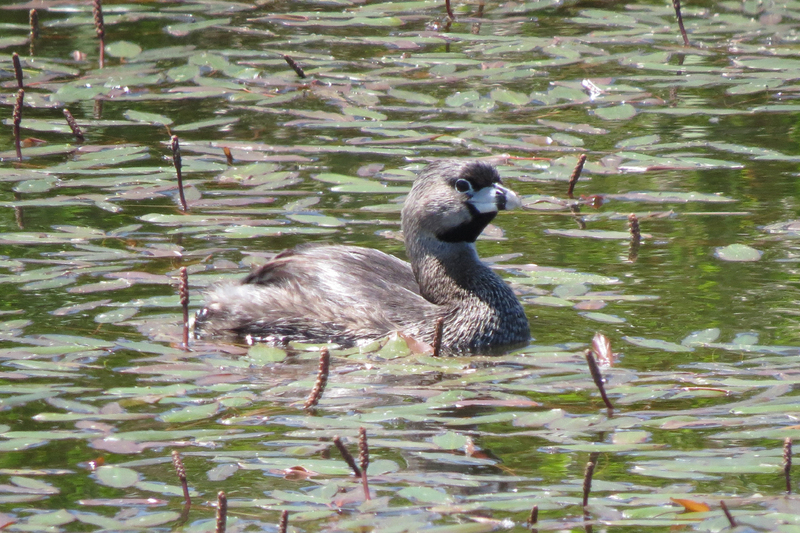 This entry was posted in nesting, OR Birding Sites, reptiles & amphibians and tagged American Bullfrog, Bald Eagle, Cinnamon Teal, European Starling, Gadwall, Mallard, Pied-billed Grebe, Spotted Sandpiper, Tualatin River NWR. Bookmark the permalink.